The International English Language Testing System is a standardized English proficiency test that assesses English Language skills in the areas of Listening, Reading, Writing and Speaking. It is jointly owned by the British Council, IDP- Australia and University of Cambridge ESOL EXAMINATIONS. IELTS has two Modules - Academic and General Training. The Academic Module is required to be given by students who plan to study at Undergraduate or Postgraduate levels. While, the General Training Module is generally a prerequisite for candidates who wish to pursue their vocational studies or for those who wish to migrate to an English speaking country. The Writing sections on the Academic & General Module have two essay writing tasks. You will be given 1 hour to complete both essays. In the task 1 of this Module, candidates will be presented with a graph, table, chart or diagram and will assess on their ability to compare data or describe the stages of a process. In task 1 of the General Module, candidates are required to write a letter explaining a situation or a problem. They will be assessed on their ability to engage in personal correspondence, while expressing needs or requesting for assistance on a particular issue. Task 2 of the Academic & General Writing Module presents test takers with a point of view and evaluates them on their ability to challenge ideas and present solutions, while justifying an opinion for the same. 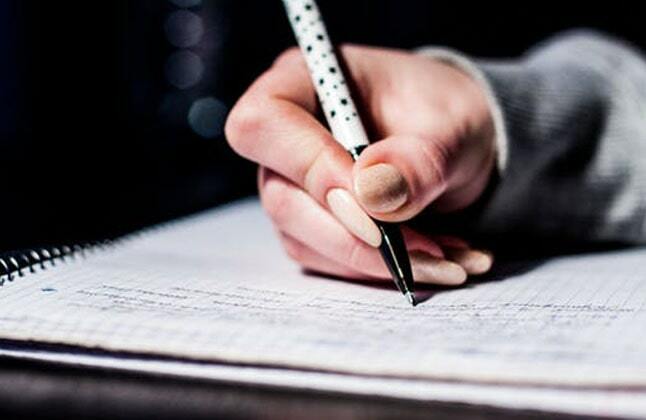 Ensure that you have time after to check your essays, this way you can correct errors that you have made. What Edwise Students studying IELTS says.. ? "I am glad I chose Edwise to pursue my higher overseas education. The coaching I received here was really helpful and I was able to achieve my target score. I would like to thank Edwise for all their guidance and moral support."